FC Barcelona player Sergi Samper -currently on loan at UD Las Palmas- underwent surgery this Friday afternoon in Barcelona, to treat a fracture to the malleolus and a ruptured interior lateral ligament in his left ankle. FC Barcelona player Sergi Samper -currently on loan at UD Las Palmas- underwent surgery this Friday afternoon in Barcelona, to treat a fracture to the malleolus and a ruptured interior lateral ligament in his left ankle. The approximate recovery time following the operation is a minimum of 4 months. 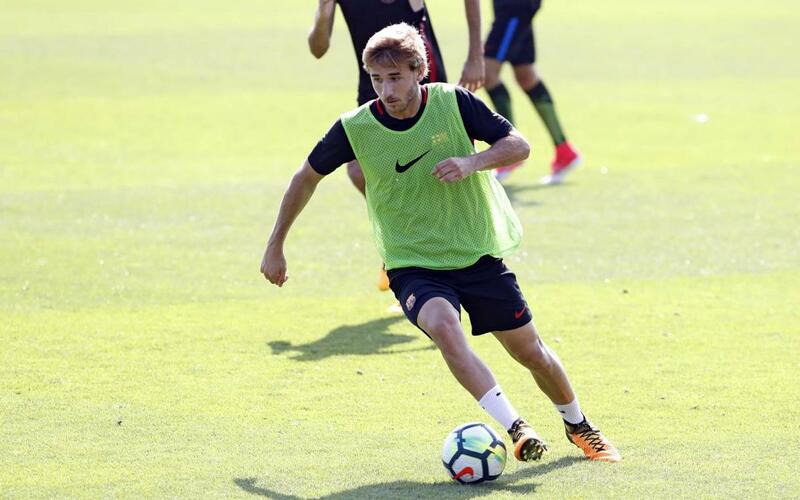 Samper undertook preseason with Barça under Ernesto Valverde, playing in three games during the tour of the United States and also featuring against Nástic in a friendly and in the Gamper Trophy against Chapecoense. He joined UD Las Palmas on loan at the end of last summer, where he has made 5 appearances to date (two in LaLiga and three in the Copa del Rey). Last season he played 23 times in a loan spell at Granada.